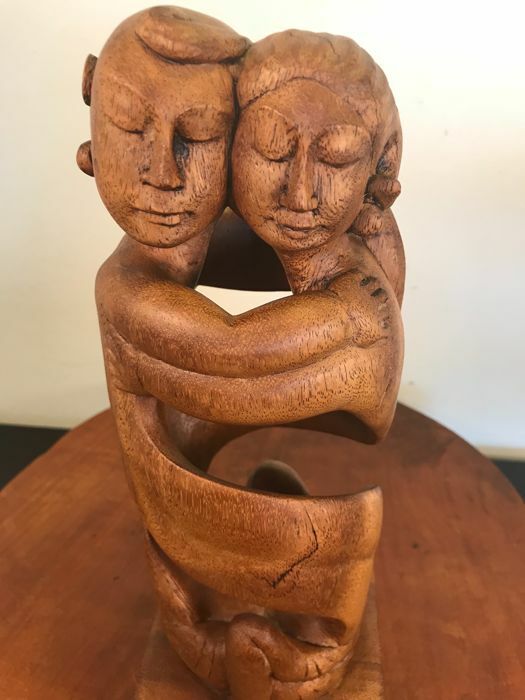 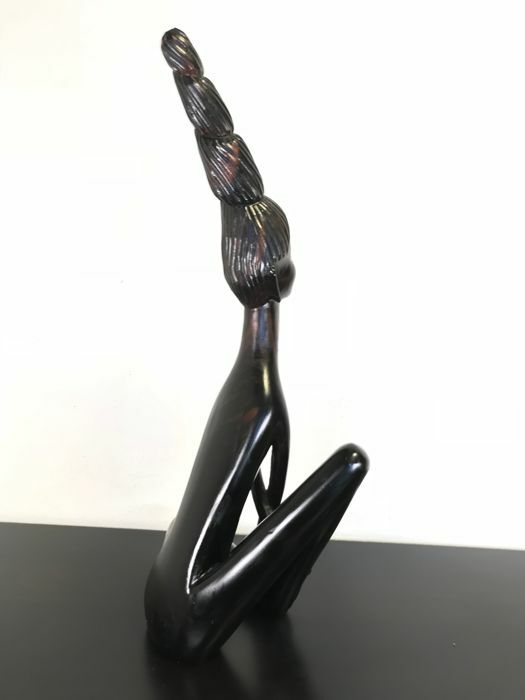 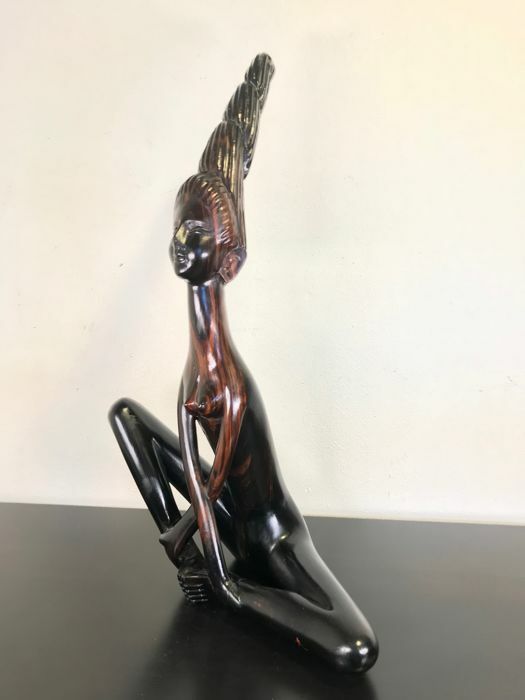 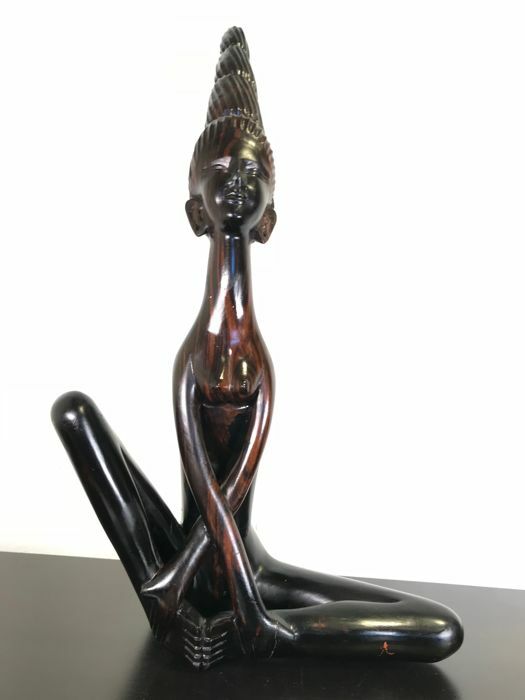 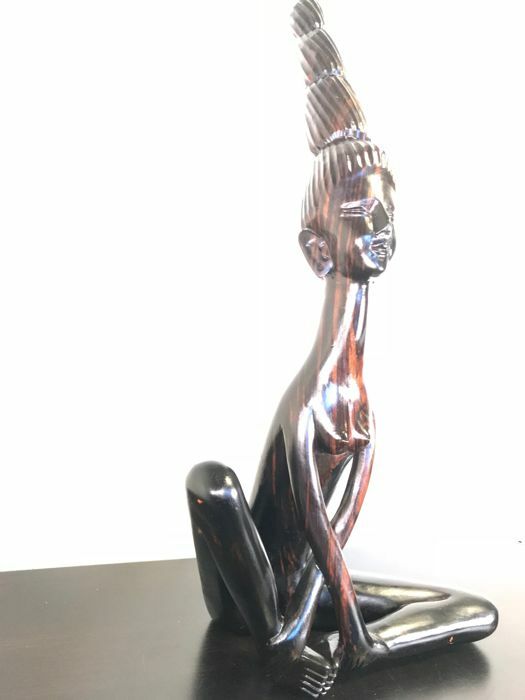 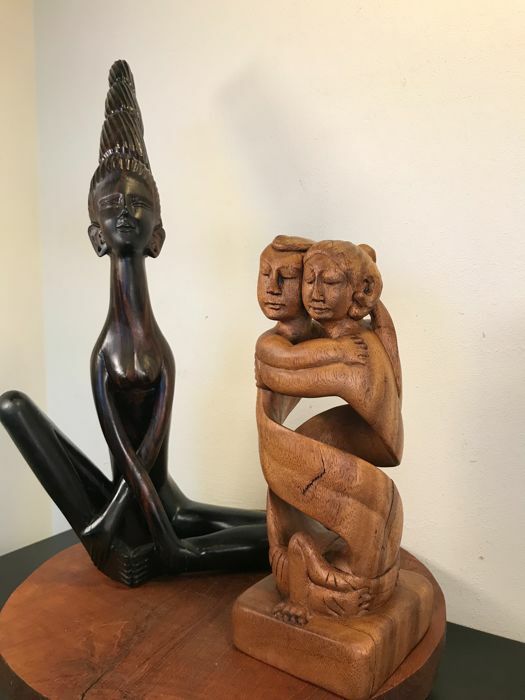 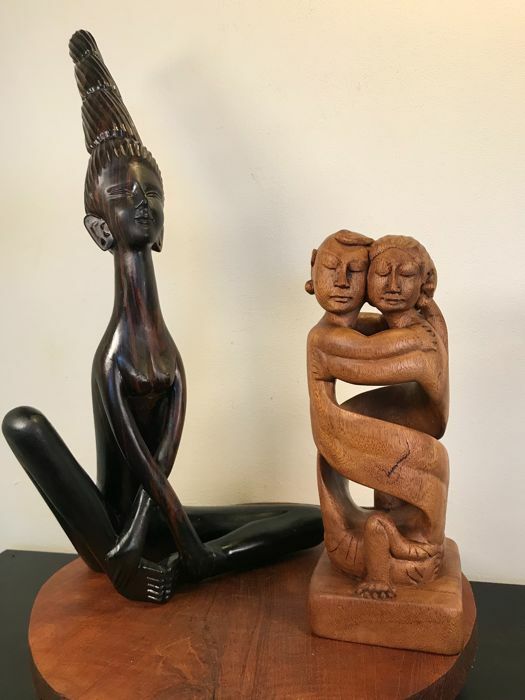 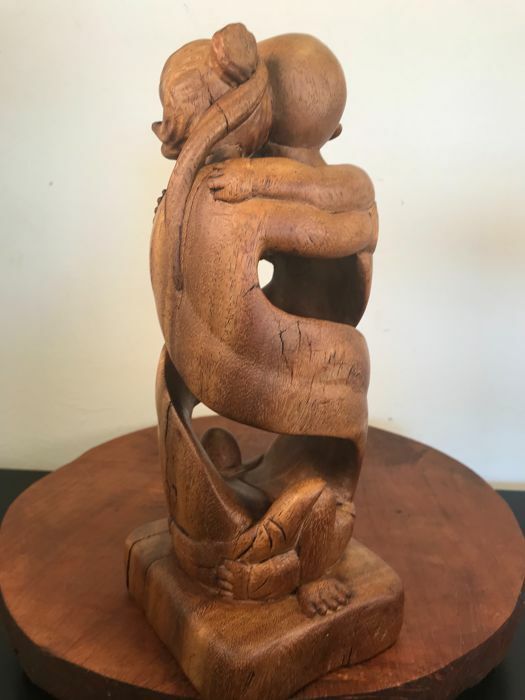 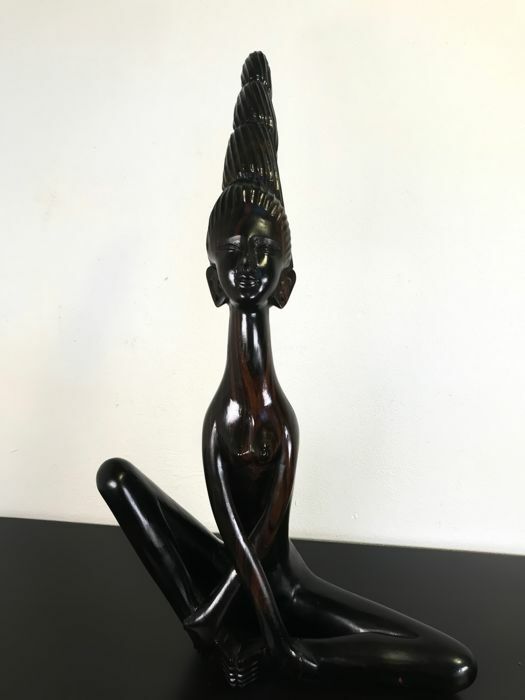 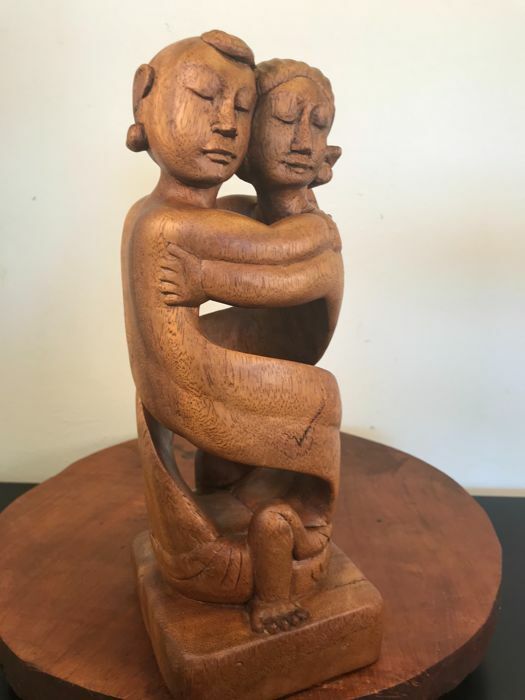 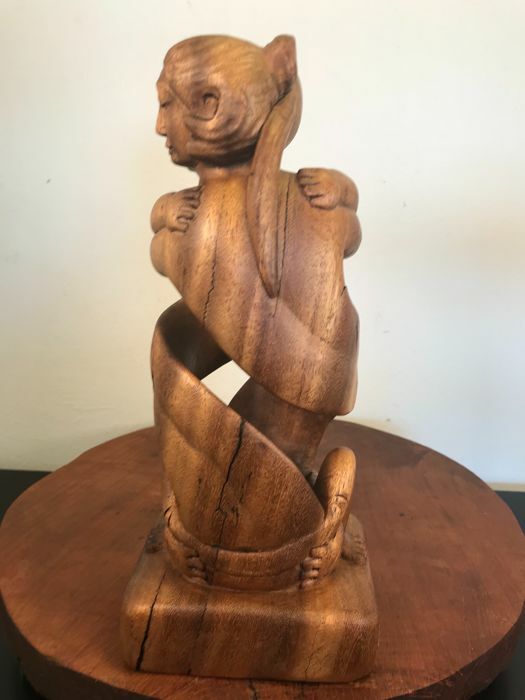 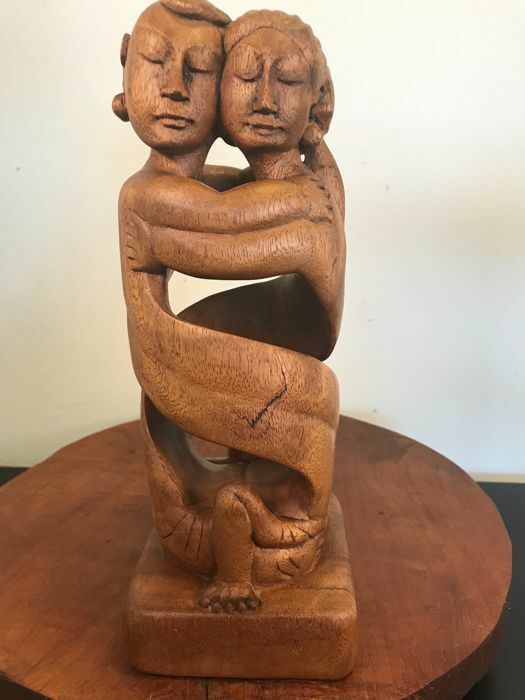 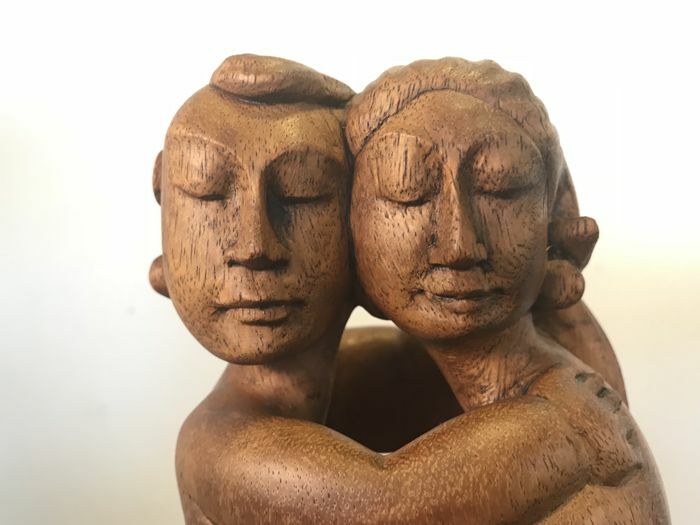 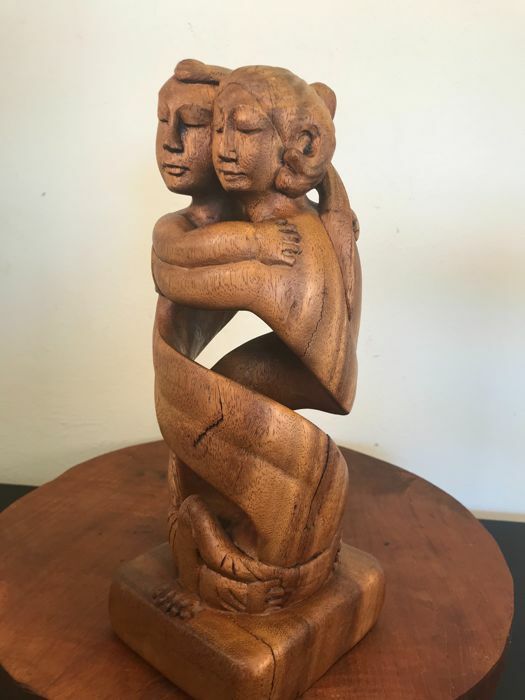 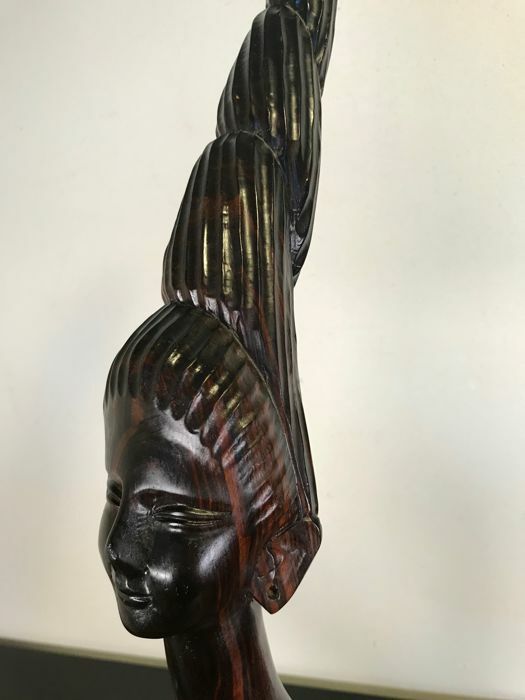 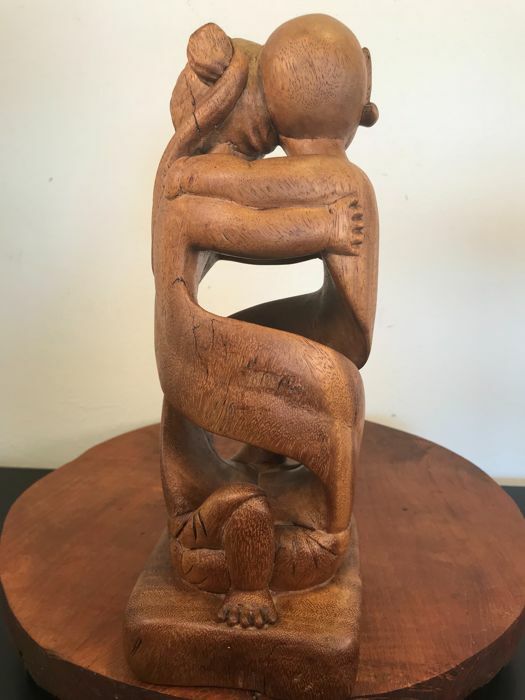 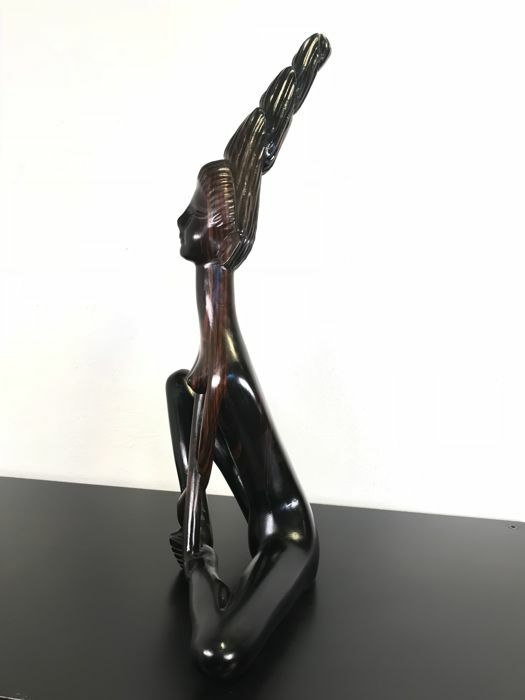 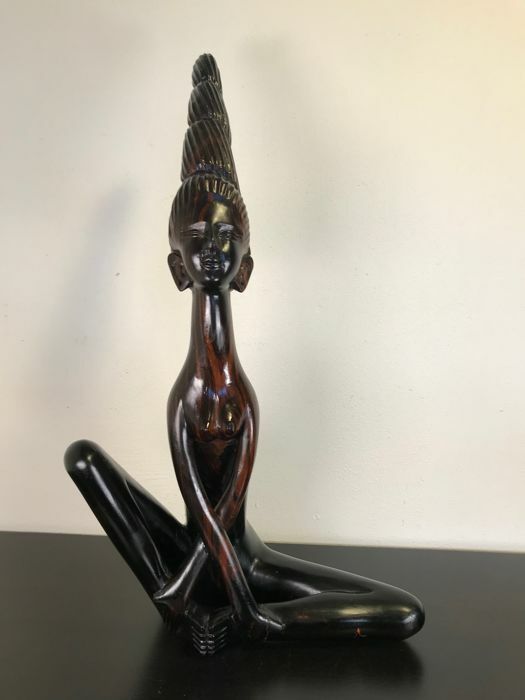 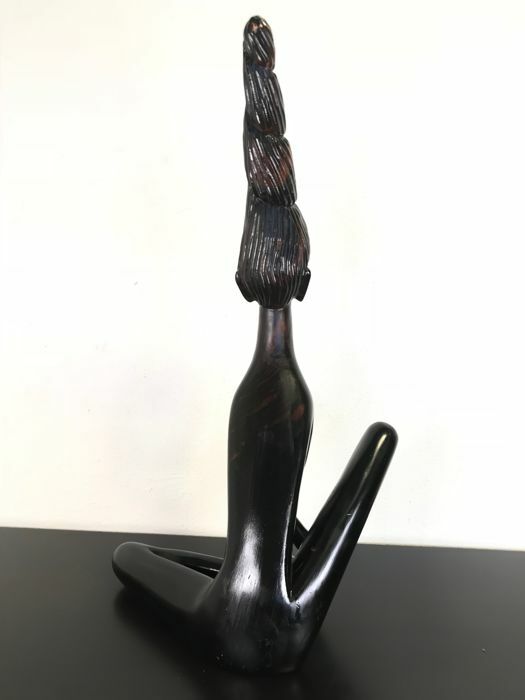 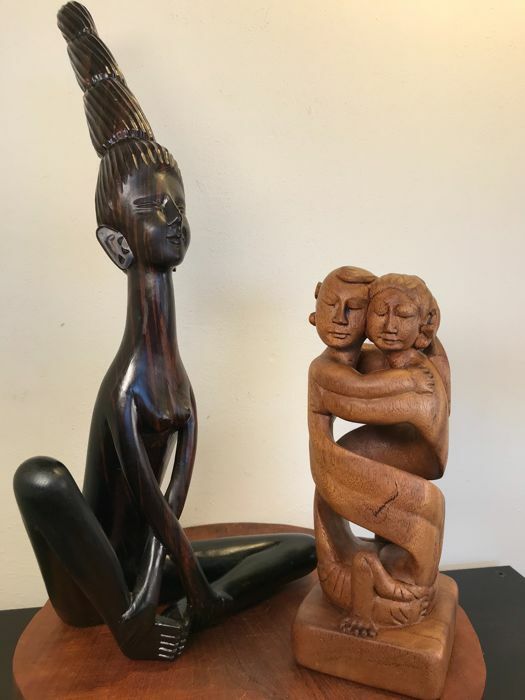 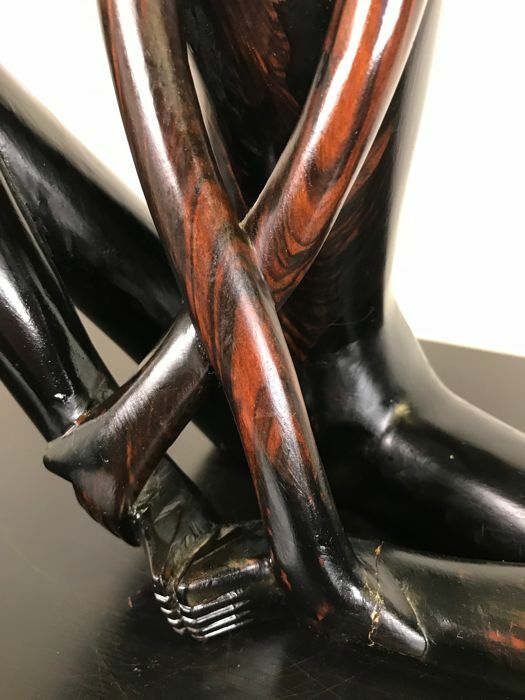 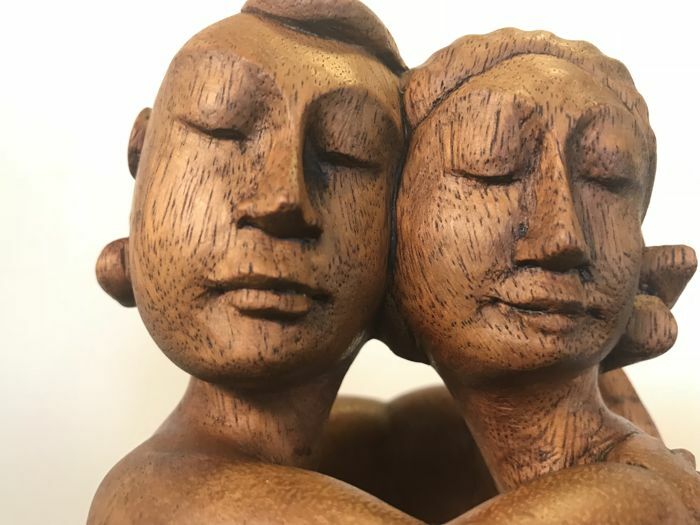 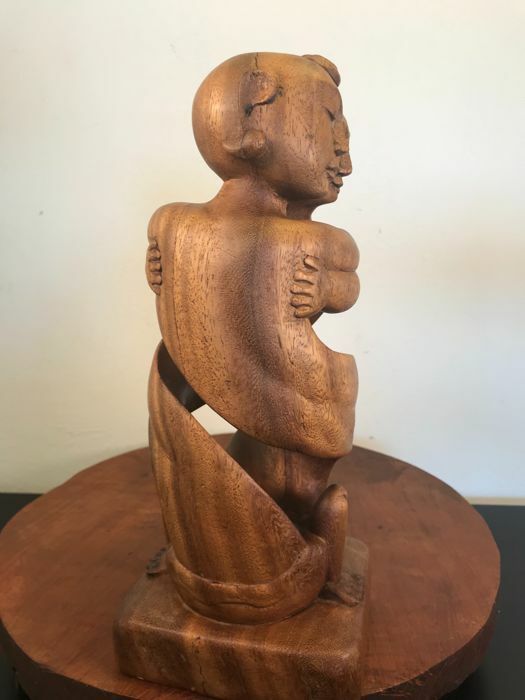 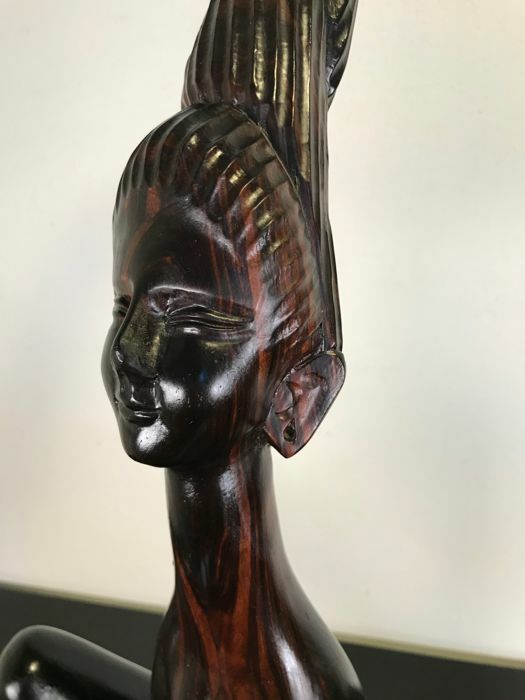 Two modern wooden statues of stylish young woman and loving couple in a delicate style, Indonesia, Bali. 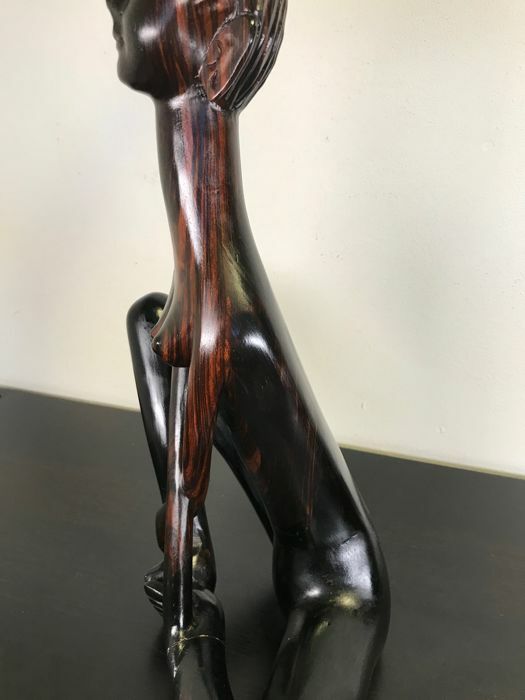 Very detailed and finely made, with a fine eye for the correct proportions. 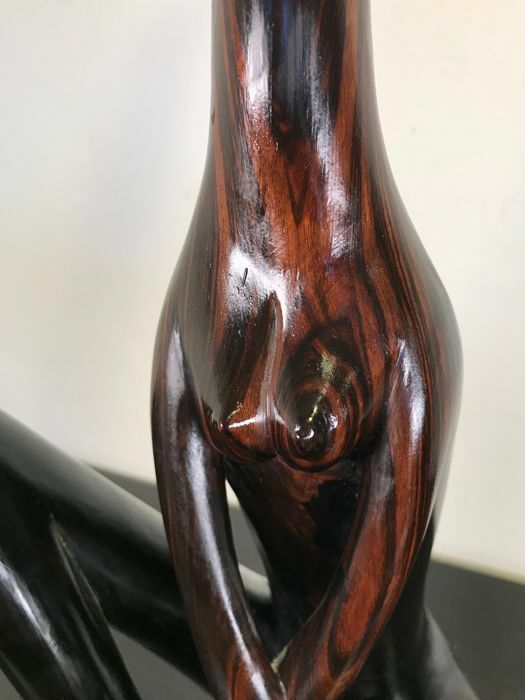 This can be seen, for example, by the fine lines that enrich the statues. 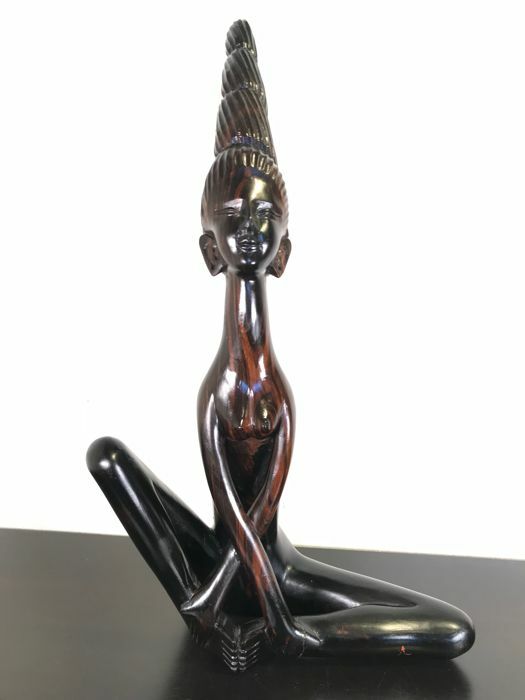 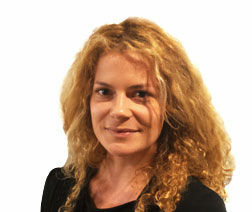 Furthermore, she has a beautiful facial expression. 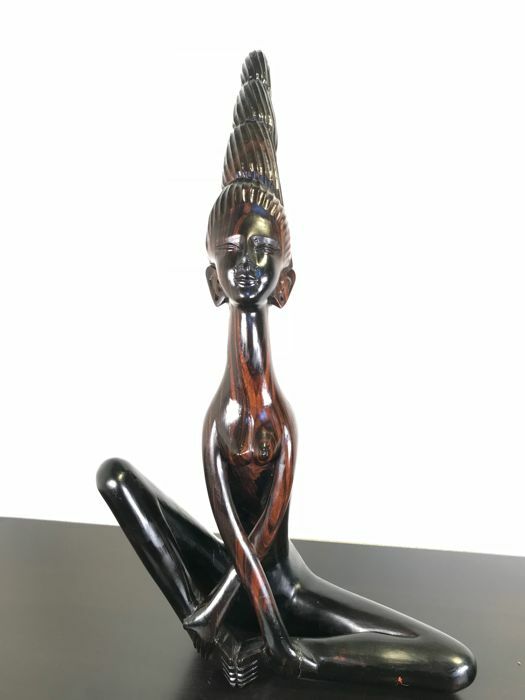 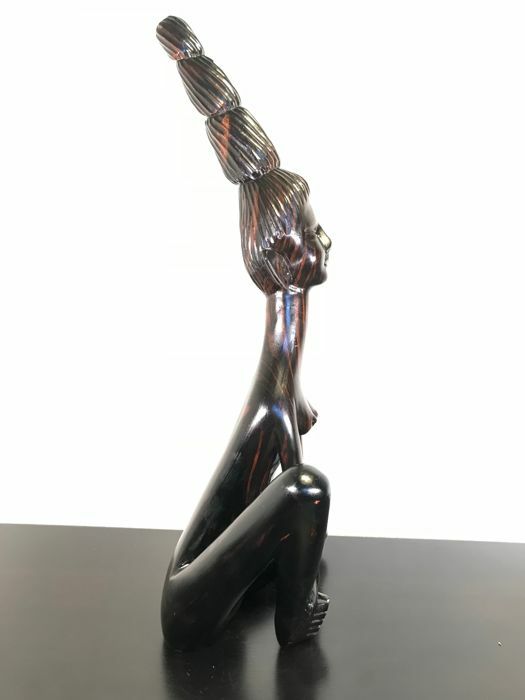 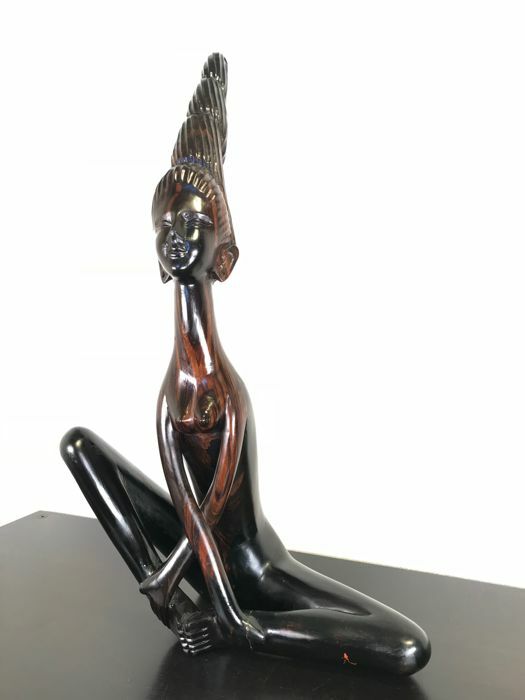 She radiates a cheerful aura and has been skilfully and delicately carved with slender shapes. 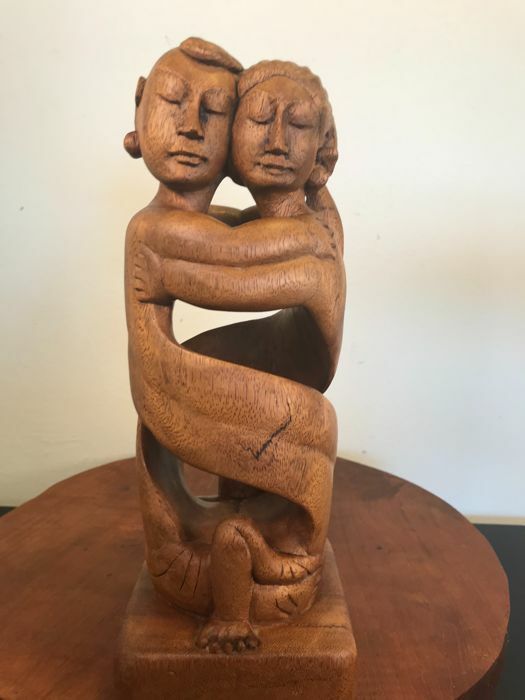 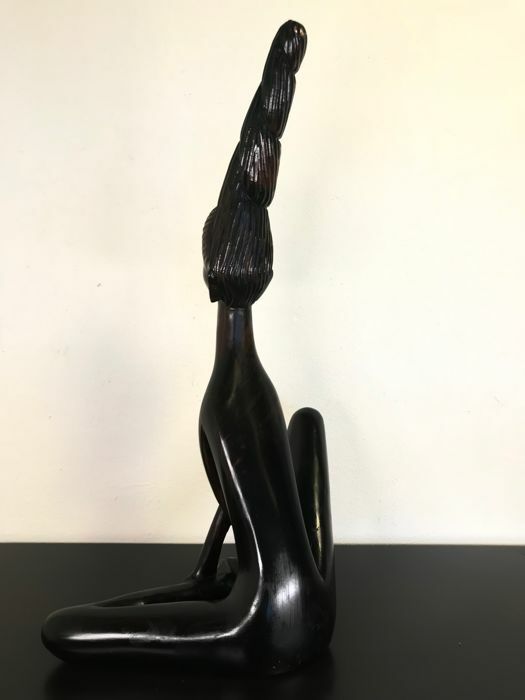 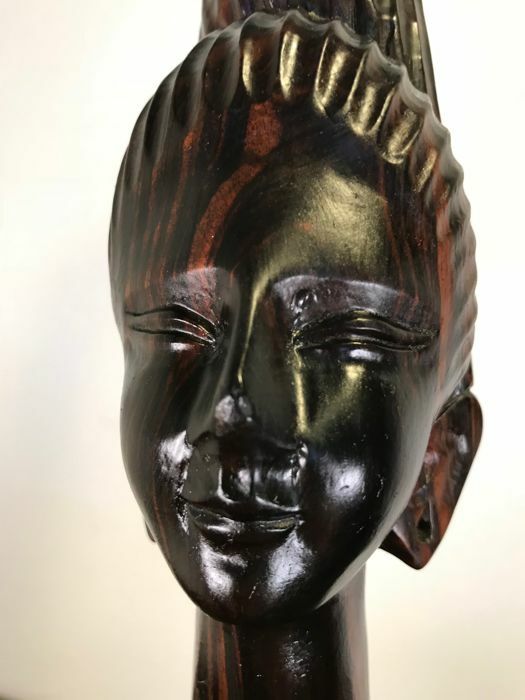 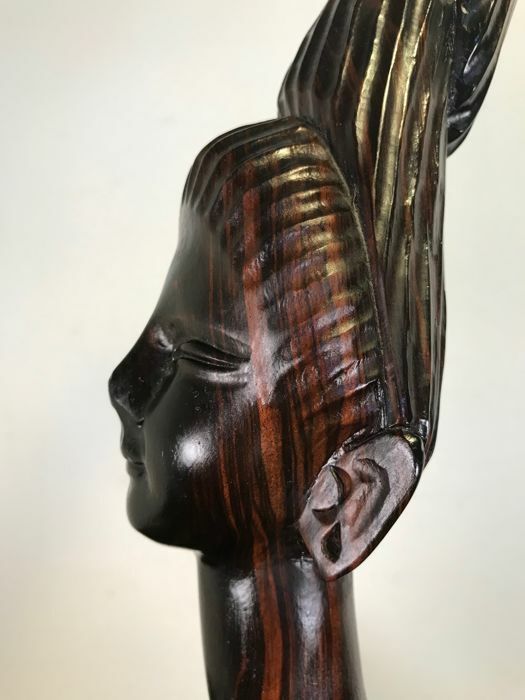 This piece of high-quality Balinese carving is an asset for any serious collector. 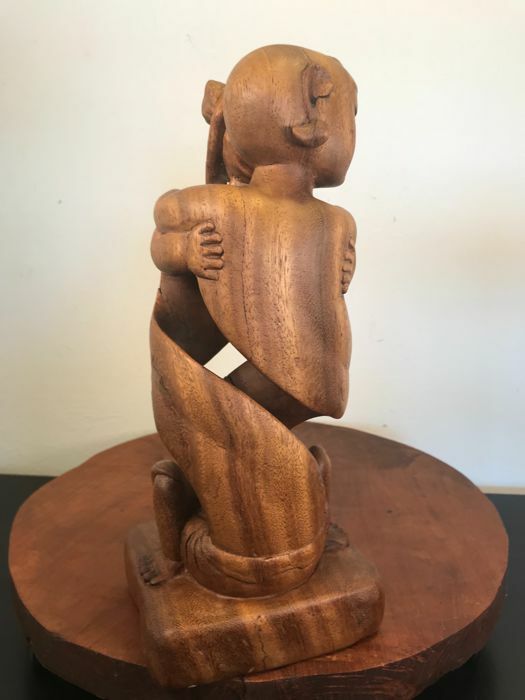 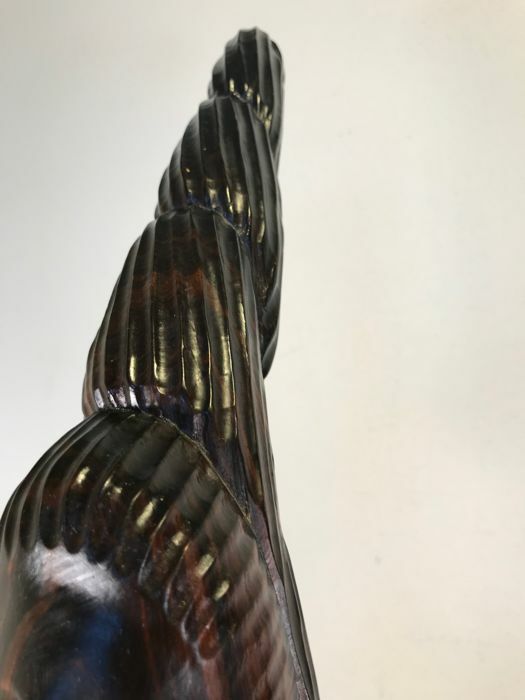 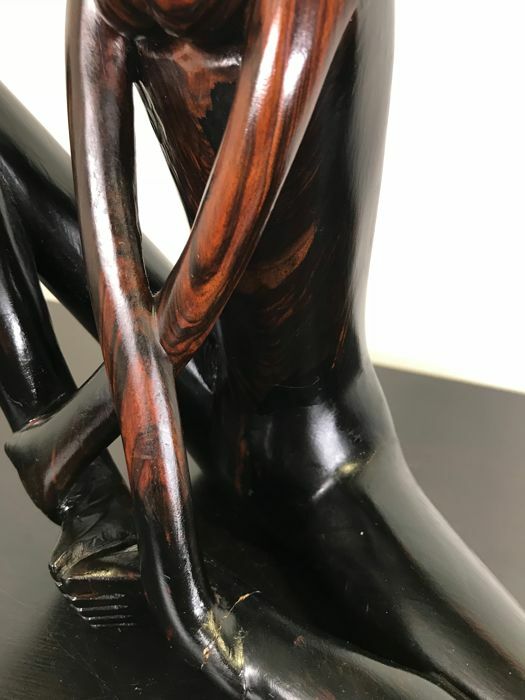 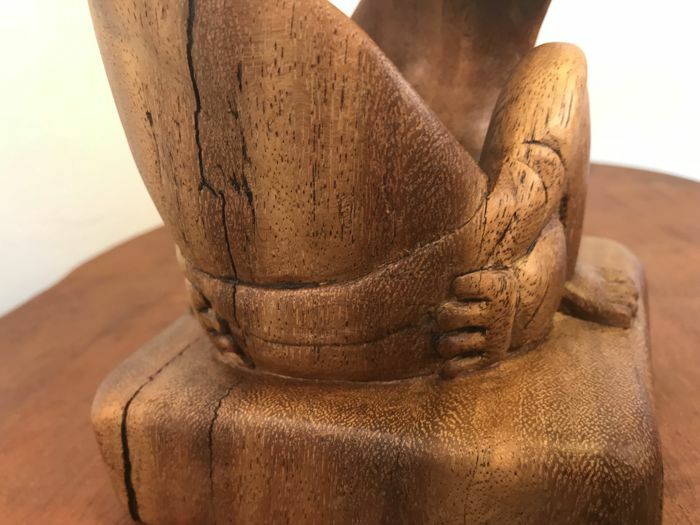 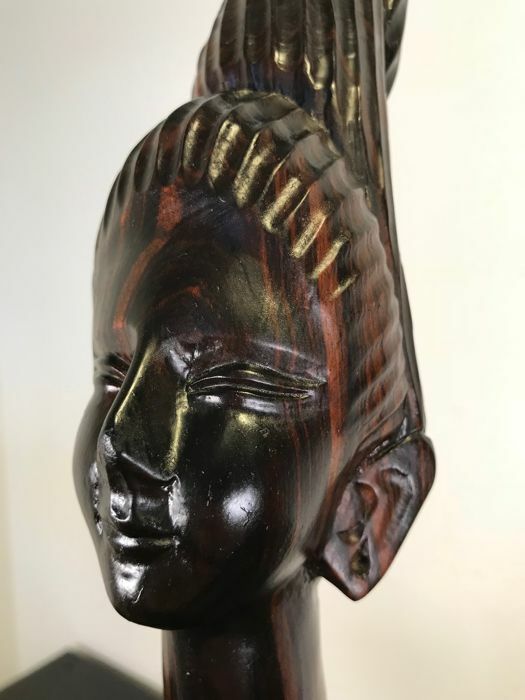 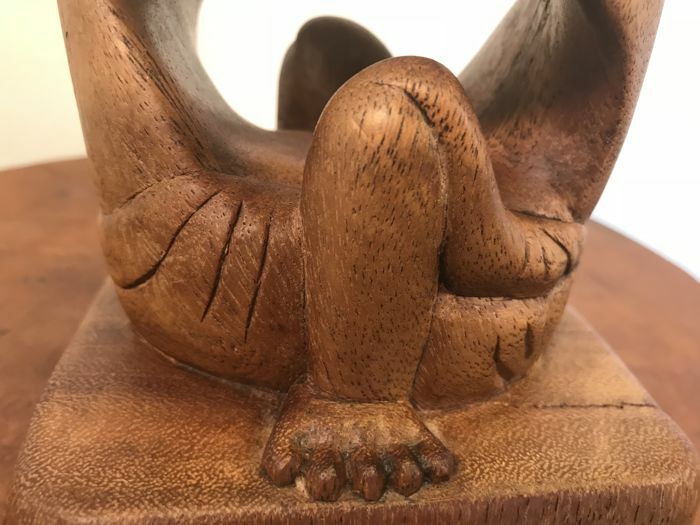 Each statue is carved from a single piece of heavy tropical hardwood. 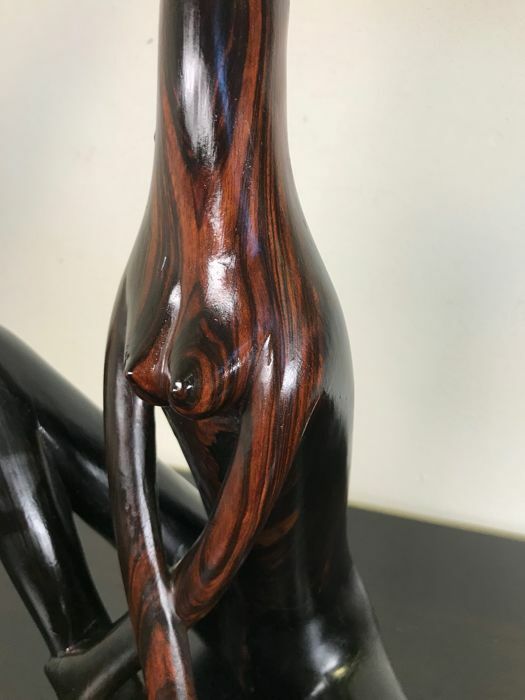 The whole piece has been sanded and finished smoothly. 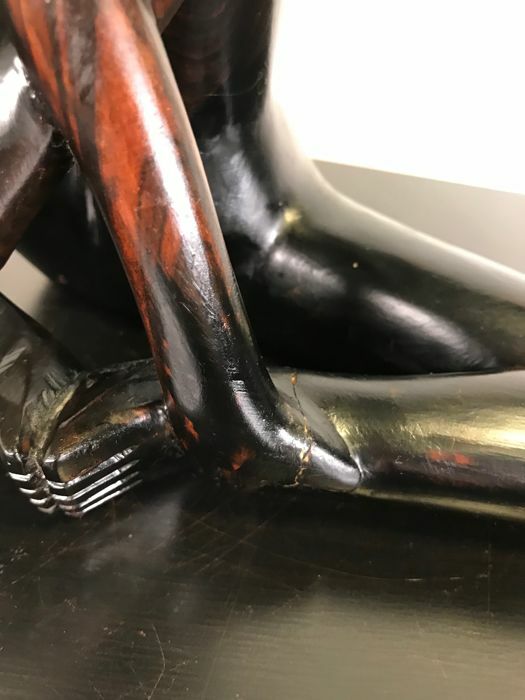 She is in very good condition (except for small natural shrinkage cracks at the ankle of the cheerful young lady, please view the photos). 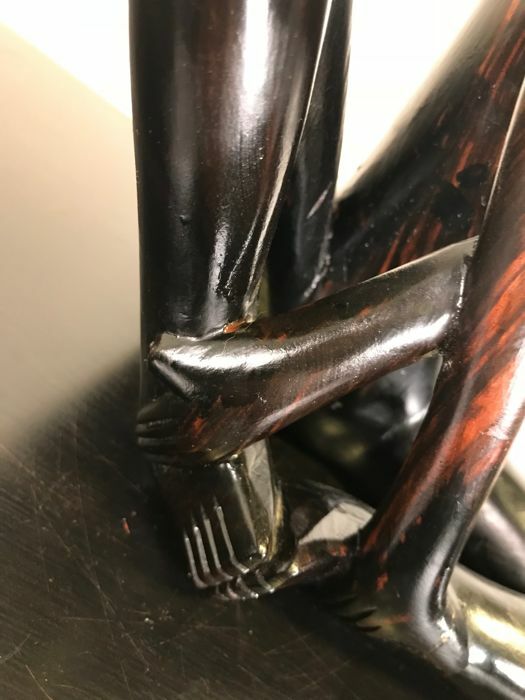 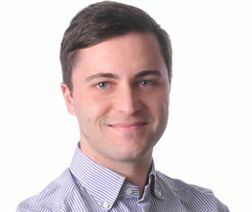 The photos are an addition to the description of the condition. 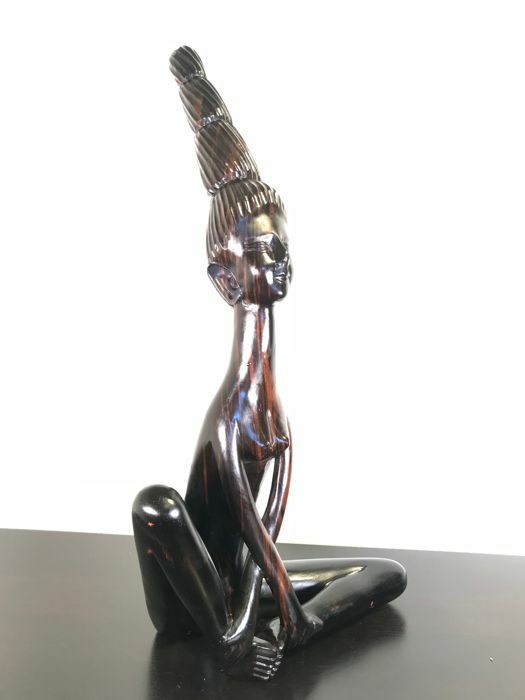 The statue will be shipped well-packaged and with Track & Trace.